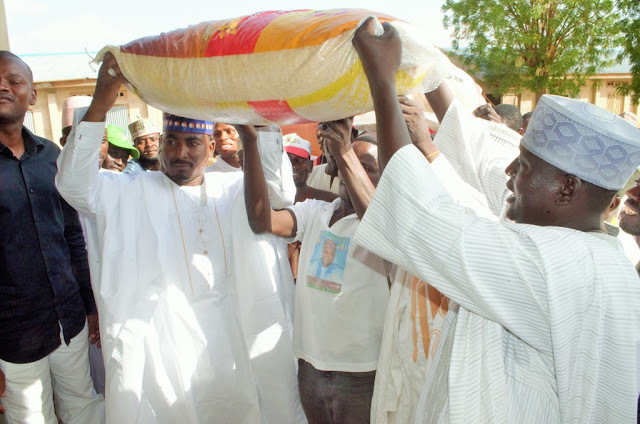 The Senator Katsina senatorial district Sen. Umar Kurfi (Nzeribe) has donated food items worth N42million during the flag off ceremony at Yandaki town in Kaita Local Government. 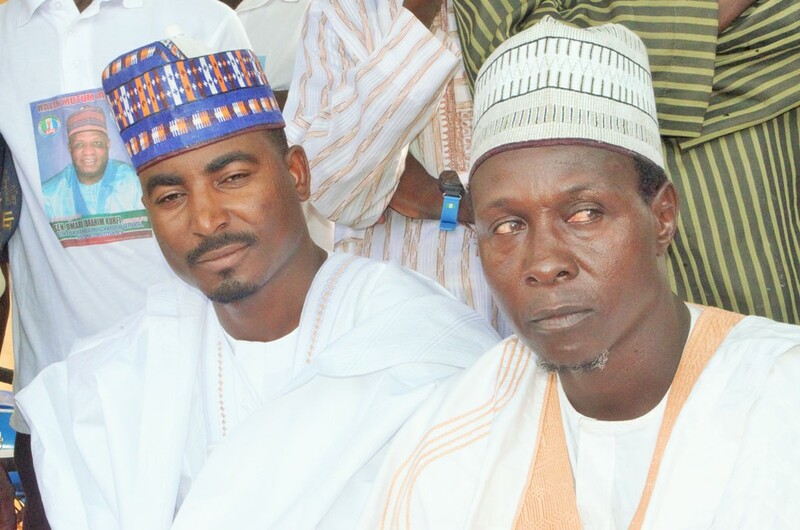 The senator who was represented by his Personal Assistant (PA) Hon. 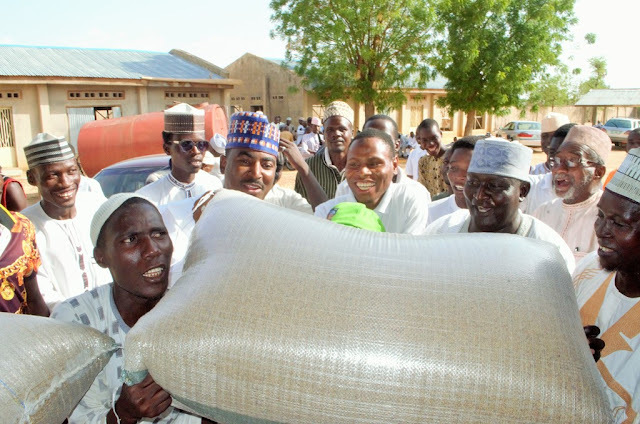 Ismail Usman Yandaki said a total of 10bags of grains which include millet, rice, and sugar will be given to each ward and N5000 transportation fee. Hon. Ismail Yandaki called on ward leaders to ensure justice while distributing items to members and urged beneficiaries to utilize it judiciously. In his remarks, the APC chairman Kaita chapter Aminu Yandaki said “it has become a tradition for the Senator to donate food items to his people every fasting”. 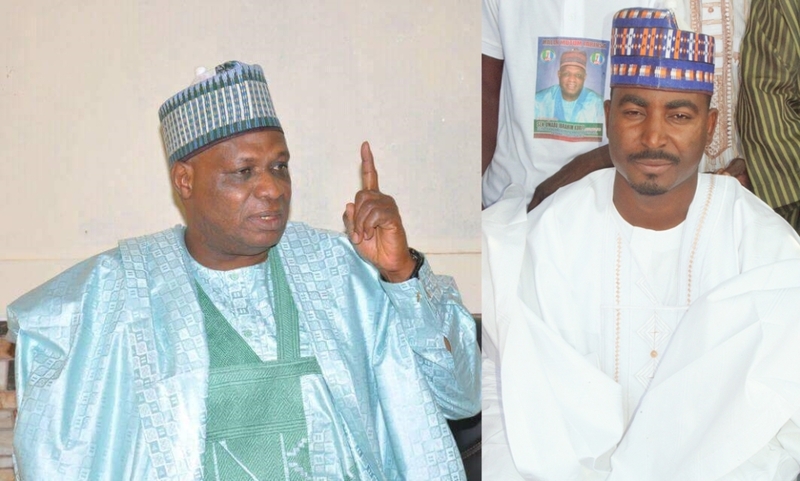 He expressed appreciation on behalf of APC members in Kaita LG. 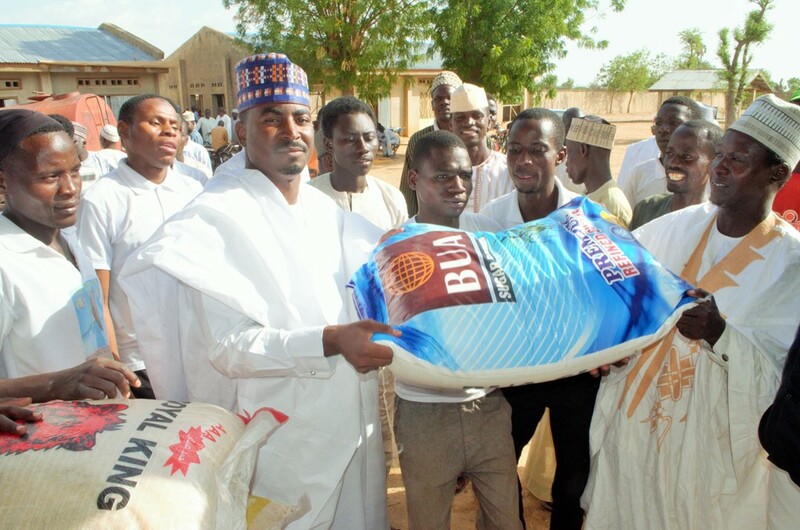 Earlier Suleiman Abdullahi Yandaki a beneficiary expressed gratitude over the food distribution by the senator and urged him to do more. 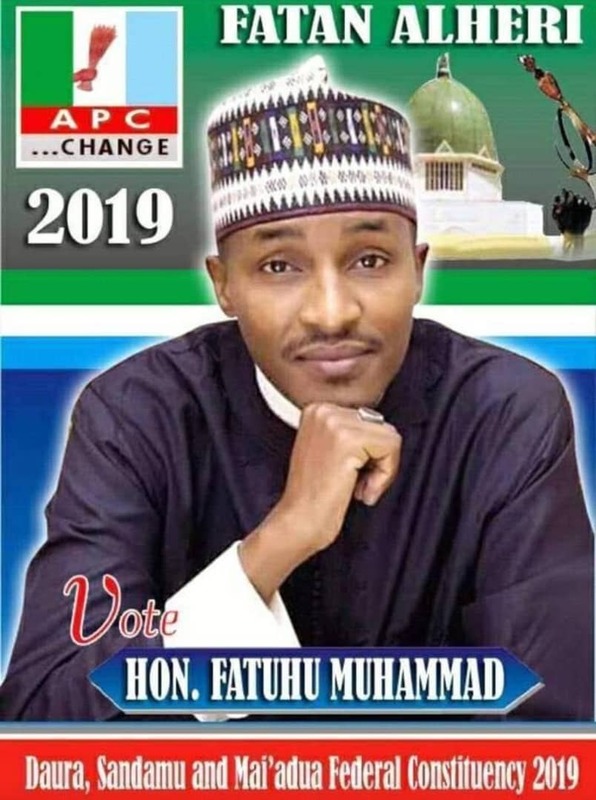 Cliqqmagazine.com recalled that Senator Umar Kurfi within the last two months has sponsored over 1000 students for JAMB examination with free CBT training as well as monetary empowerment scheme which he has introduced to his people.